Pin It I've been feeling guilty about not posting, but let's face it...with a part-time job, a crazy 3 year old that is getting more independent by the day and a baby due in less than 2 months (think nesting!) I have been a little preoccupied. 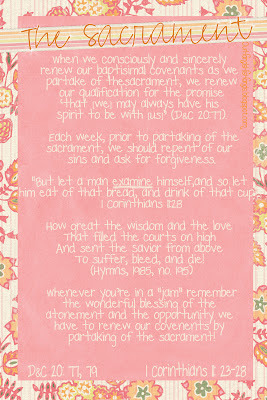 Here is a printable that I made for a lesson on the sacrament. 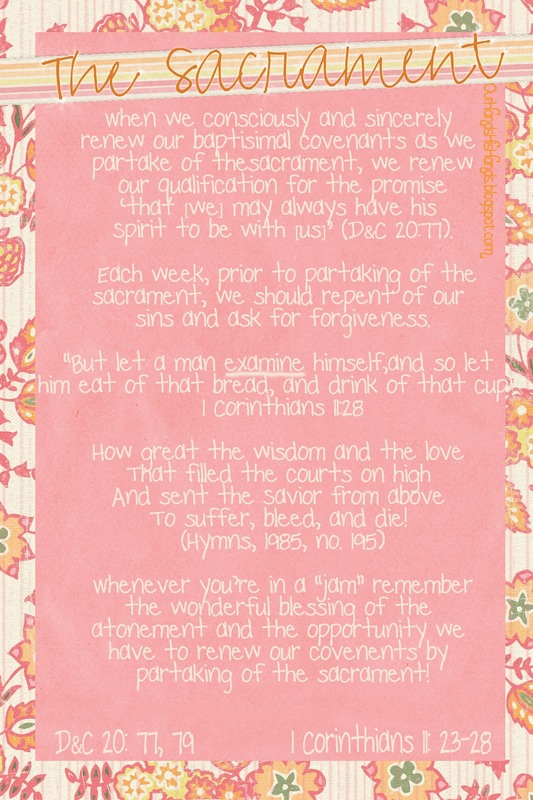 After having to miss sacrament meeting for 2 weeks, yesterday it was so refreshing to partake of the sacrament...it prepared me for the week and was so refreshing! I handed this out with jam. If you were presenting a lesson for a large class, you could bring some bread and jam as a treat.